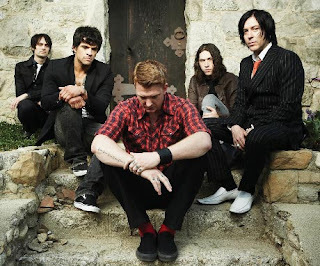 I've always been a fan of QOTSA but this past month my love for them has grown so much! I've had all the albums for a while and love them but after watching their set at Glastonbury my love just came flooding back! That set was just amazing, all their classic hits played in a row! Especially 'No One Knows' which was just incredible! 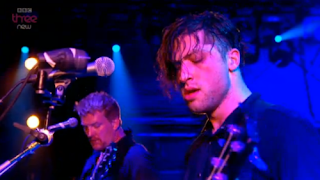 The day i was meant to be packing for Paris i spent most of the day just watching QOTSA videos on youtube! I am in love with their current line up! From watching videos a lot of people comment 'this would be awesome if Dave Grohl was on drums' etc which i totally don't agree with! Anyone who knows me will know that Foo Fighters are my favourite band and i LOVE Dave! His drums on 'Songs For The Deaf' were great but i think Joey Castillo is an amazing drummer and perfect of Queens. It really shows in their live performances and on the last albums he has played on. Another reason why i love Queens is this guy! This guy is an awesome bass player and can play a load of other instruments too and he's only 25! A lot of people wish Nick Oliveri was still in the band but to be honest i was never a big fan of him! Yeah he's a great musician but there was always just something about him that i didn't like! I can wait to hear in play on their new album because i love to watch him play live and he ain't too bad to look at either! All in all this band just keeps getting better! The line up is great and i think their new album is going to sound amazing. 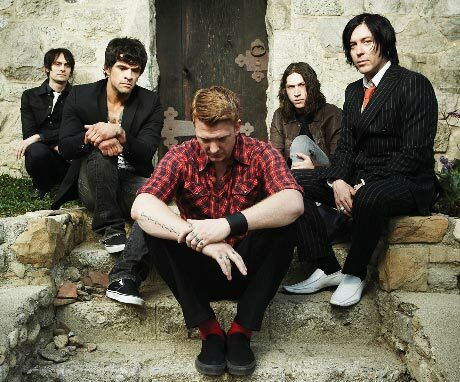 They're one of the best rock bands that are around today and one day i will finally get to see them live!